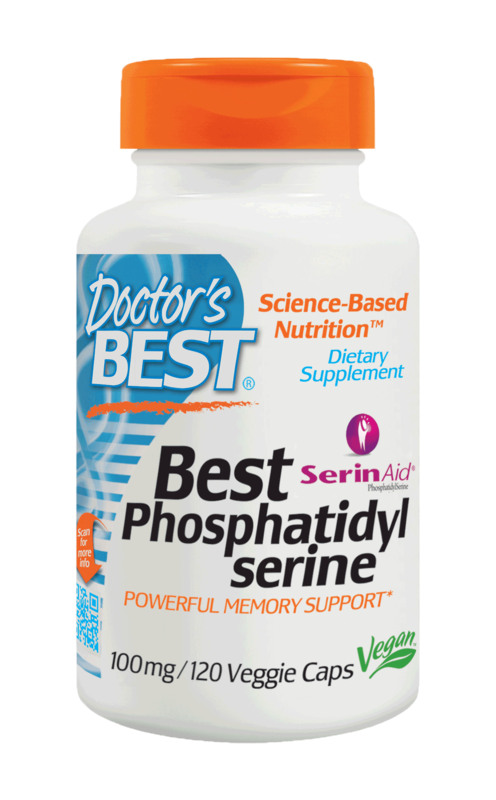 Best Phosphatidylserine provides the essential brain nutrient phosphatidylserine in a matrix of other phospholipids and cofactors. Phosphatidylserine and other phospholipids are structural components of brain neurons that can enhance cell-to-cell communication. 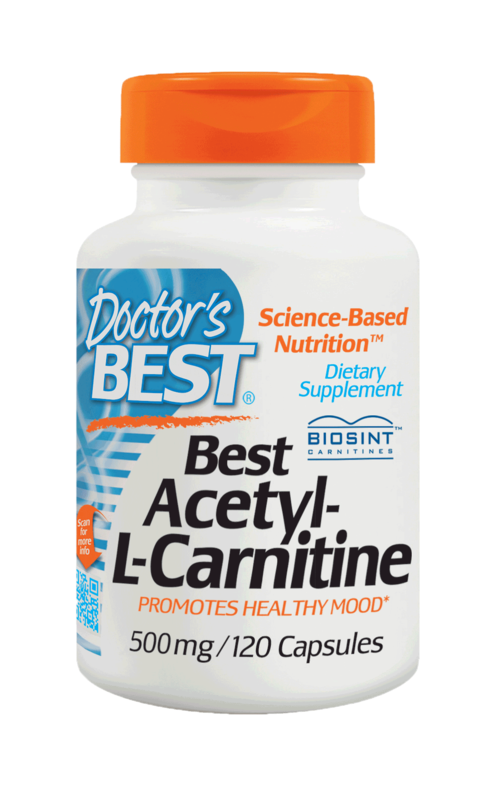 Studies have shown the ability of supplemental phosphatidylserine to support healthy cognitive function. It may enhance healthy memory and thinking ability by facilitating neuronal communication. Best Phosphatidylserine contains phosphatidylserine and other essential nutritional cofactors in a liquid softgel, providing added stability to these key phospholipid molecules. Take one softgel 3 times daily with meals. A.Phosphatidylserine is a phospholipid that is vital to your brain cells. Phospholipids are molecules containing both amino and fatty acids found in every cell membrane within our bodies. 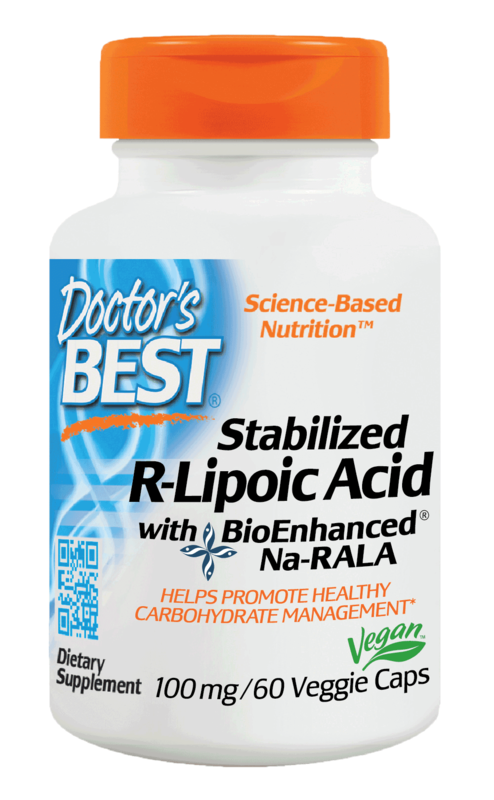 The fatty acids include omega-3 and omega-6 fatty acid molecules—essential for life. Actually, phosphatidylserine is universally present in living things from the most simple to the most complex. It is present in every one of our cells. Phosphatidylserine has many known functions throughout all of our tissues and organs, but is most important as the key building block for the billions of cells that make up our brain. 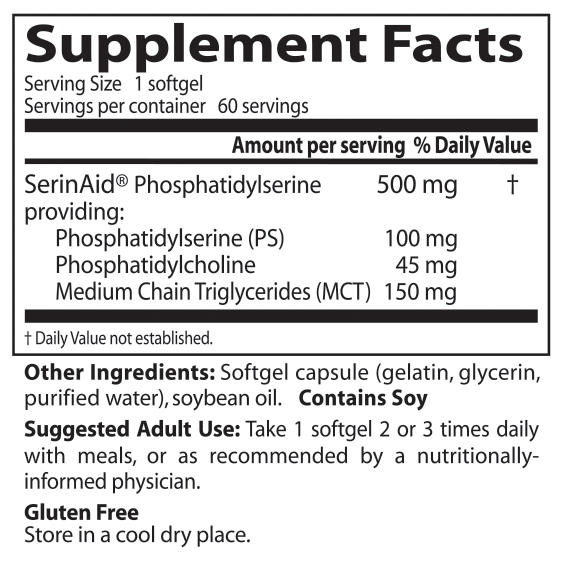 First isolated in 1942, phosphatidylserine is now available as a dietary supplement derived from soy lecithin. A.Phosphatidylserine is an important chemical with widespread functions in the body. It is part of the cell structure and is key in the maintenance of cellular function, especially in the brain. 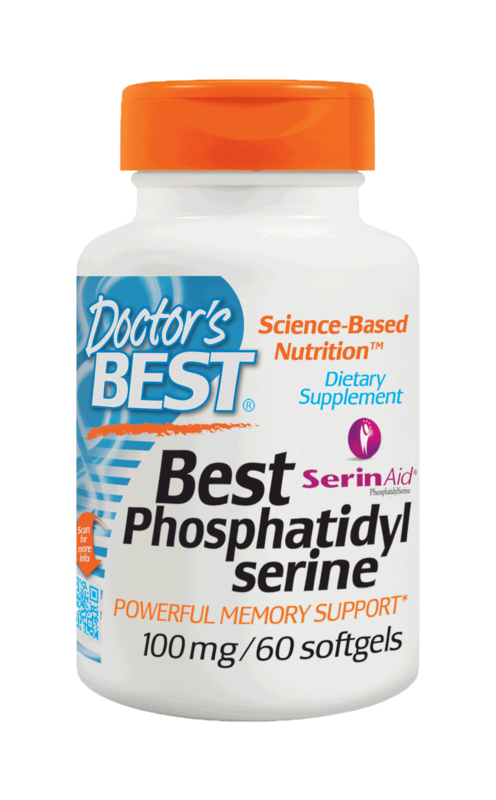 Phosphatidylserine enables your brain cells to metabolize glucose and to release and bind with neurotransmitters, all of which is important to learning, memory and other cognitive functions. Phosphatidylserine increases communication between cells in your brain by increasing the number of membrane receptor sites for receiving messages. Phosphatidylserine modulates the fluidity of cell membranes—essential to your brain cells' ability to send and receive chemical communication. 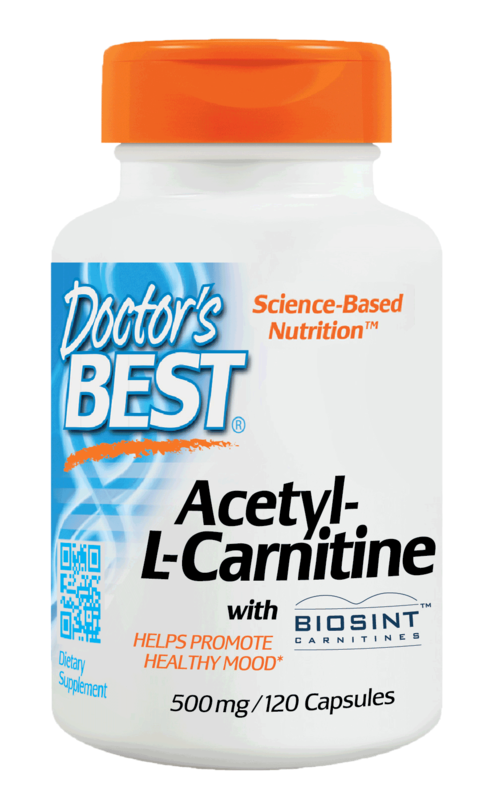 Scientific studies demonstrate that phosphatidylserine restores the brain's supply and output of acetylcholine, the neurotransmitter so important to memory, and so may turn back the clock in an aging brain. Phosphatidylserine also stimulates your brain to produce dopamine and this is likely why patients diagnosed with clinical depression have shown marked improvement in their symptoms as a result of taking phosphatidylserine daily. Reduced dopamine levels are also thought to contribute to attention deficit disorder and this natural substance has proven to be an effective therapeutic agent for ADD and ADHD. Studies examining athletes involved in cycling, weight training and endurance running show that phosphatidylserine can speed recovery, prevent muscle soreness and help athletes to feel their best during the rigors of training. We also know that phosphatidylserine is important in bone matrix formation, testicular function, beat coordination of the heart, hormone secretion by the adrenal glands and cell repair and removal by the immune system. Q.What are the benefits of Phosphatidylserine? A.Phosphatidylserine is used for Alzheimer's disease, age-related decline in mental function, improving thinking skills in young people, attention deficit-hyperactivity disorder (ADHD), depression, preventing exercise-induced stress, and improving athletic performance.It also helps to strengthen your memory, increase vigilance and attention, boost learning, increase mental acuity, intensify your concentration, relieve depression and improve mood, inhibit exercise and stress induced increases in cortisol, decrease stress—whether you are young or old. A. Yes! The use of phosphatidylserine is well validated through clinical research and proven safe in standard toxicology tests. The large number of human studies conducted on phosphatidylserine produced a flawless safety record. First, it has proven compatible with a wide array of medications including: antacids, anti-hypertensives, anti-inflammatories, antiulcer and mucolytic agents, diuretics, antithrombotics, hypoglycemics, antiarrthymics, insulin, calcium channel blockers, calcitonin, chemotherapy drugs and other prescription medications. Second, phosphatidylserine is well tolerated by elderly patients with chronic diseases such as cerebrovascular, artery and vein disorders, heart diseases, high blood pressure, diabetes, lung diseases, digestive system diseases and arthritis.Interestingly, clinical researchers found phosphatidylserine lowered uric acid levels and liver SGPT in their elderly patients—which can signify improved liver health. Great quality at a great price. If you want to strengthen your mental capacity I suggest you start taking this wonderful nutrient. I will definitely keep taking it.